Summary of passage: Jesus declares he’s the bread of life and whoever believes in him will never be hungry nor thirsty. He has come to do God’s will which is to raise up God’s people at the last day in eternal life. Conclusions: We’ve had many of these questions before. Expect more repetitiveness in the weeks ahead. End Notes: This is the fourth question Jesus answers from the people in this scene recorded by John. In some translations it says “always” instead of “from now on.” The people still want material bread and they want it forever. This is the first of the “I am” (ego eimi) in the Gospel of John and one of the most important. There are 7 “I am ” statements (the number of completeness and perfection). These echo the seven “I am” statements God says in Isaiah. The bread of life may mean “the bread that is living” or “the bread that gives life”. Jesus expands on verse 33 here by explaining what he means by the bread of God. This is repeated in verses 41, 48 & 51. Come to Christ out of your heart and desire. That is all that is required to come. It’s very simple like when someone asks you “to come here.” That is what Jesus is doing here. Coming to Jesus begins with God and all who come get God. To do God’s will. Mentioned by Jesus before in John 4:34. This is an invitation to all believers and all in general. Whoever comes willingly, gets God. Period. True believers persevere because Christ holds onto them. Fun Fact: “The last day” expression is found only in John in the New Testament. This probably refers to the day of resurrection followed by the day of judgment at the End Times. Summary of passage: John sees four living creatures honoring and thanking God and when they do, the 24 elders fall down as well and worship him forever and ever, saying God is worthy of worship as the Creator of all things. 10) They are falling down before God, laying their crowns at God’s feet, and worshiping Him, giving Him all the glory, because He is the Creator of all things and it is by His will they even exist. It’s important to note the elders are following the creatures lead. 11) Part personal question. My answer: Worship. We were created to worship and that’s what we will do non-stop in heaven. It’s what we should do here. Everything we do should be worshipful in some way to God. I will try to be more cognizant of this and ask myself if what I’m doing is worshipful or not. If not, then I will not do it. 12) Personal Question. My answer: Needs to be more about Him and not me or others around me. At church it’s easy to look around and see what others are doing. I need to focus more on God. Focus more at home on God. Analyze if what I am doing is worshipful or not. Strive to put more worship in my daily life. Conclusions: Great application to the passage here. Worship is central to God, who He is, and why we were created. It can get lost in all of our busy-ness. God’s will needs to be done on earth. We each were given a job by God to accomplish here on earth and that needs to be central to our lives. Discovering it and fulfilling it. Along the way, we need to acknowledge it’s Him and praise Him for that. That is our purpose. Period. We see the Lord WORTHY. The 24 elders all wearing crowns symbolizing their authority lay down their crowns, giving God all authority under heaven. Summary of passage: God summons Moses to come to the top of Mt Sinai. The others must not approach God. Moses told the people what God had said and wrote it all down in the Book of the Covenant. Then he built an altar to God and offered sacrifices to Him. Then he sprinkled the blood of the covenant over God’s people. Moses and others went up and saw God and ate and drank. The Lord called Moses up to receive the laws and commands on stone. Moses went up further with Aaron. Then Moses went alone and the cloud covered him and the glory of the Lord settled on the mountain. Then Moses entered the cloud and remained for 40 days and nights. c) It is poured out for many for the forgiveness of sins. d) Trusting that Jesus’ death has freed us from all sins committed and cleansed our consciousnesses from acts that lead to death we should be able to serve the living God better without worry that we may not be offered forgiveness for our sins. We are free; thus, we are free to obey. 12a) They were allowed to worship God at a distance (closer than the rest of the Israelites) verse 1 and they saw the God of Israel (verse 9 & 11). c) Personal Question. My answer: God is tangible and personal. He is light. He is compassionate on His people. He is awesome. Conclusions: Lots of cross references to Jesus here. Too many in my opinion. Wished we would have focused more on what this Old Covenant to us (but a new covenant to the Israelites back then) meant for them as this single act in Exodus 24 is/was one of the most important acts in the Bible. This chapter is the basis for God’s people to live for hundreds of years. The profundity of this chapter should not be ignored nor glossed over. I just don’t understand how having seen the glory of the Lord you could then turn around and worship a golden calf. I just don’t get it. I say this because I fear I’d be just as stupid and do the same thing. We are seeing over and over again (and it only goes downhill from here) how even God’s presence does not make people believe in Him. This is human nature (which makes me wonder why God created us with this dilemma). However, the consistent failure of the human race to obey God (as Paul argues in Galatians) was the reason we needed a New Covenant. And aren’t we all glad of that? As always, God’s ways are not our own and we only have limited understanding of His. God called to Moses “Come near!” Can you imagine? What a pleasure that must be! Still, this is a promise to us all. God calls us. How do you respond? End Notes: The Old Covenant here in this chapter is Israel’s constitution, birth certificate, and marriage certificate all wrapped up in some stone tablets and Moses’ writings. Here is recorded 613 commands on how to live your life as God’s chosen people, as His nation, and as a relationship to Him like a marriage full of love between God and His people. God spoke to Moses alone Exodus 20:22-23. Then God speaks to others here in Exodus 24. 4) The blood must be received and accepted to be binding and sealed. These are true for both the Old and the New Covenant. It is impossible to say what exactly the elders saw. Some scholars say they merely saw the footstool of God, which is said to be made of sapphire (Revelation 4:6 & Ezekiel 1:26). Some say it wasn’t God but a form of God. The shared meal was a common way of sealing a deal in ancient times. Hence, the face they ate and drank in God’s presence was normal and gave them renewed strength to trust Moses. This is the same Joshua as the Book of Joshua. So on Mt. Sinai, you have the 70 elders and Aaron and his brothers half-way up the mountain. Then Moses and Joshua went further up and there Joshua was left up by himself and only Moses continued on to the top to meet with God to receive the Ten Commandments. Aaron and his brothers were supposed to be supervising the people. We find out later how that turned out. Though the people could not see God nor Moses they could not doubt His presence in the physical signs God left. How stupid are we? Summary of passage: Fleeing the crowds, Jesus and his disciples get in a boat to cross the Sea of Galilee. A storm arose and the disciples, scared, awoke Jesus from a much needed rest afraid they would drown. Jesus rebuked them for lack of faith and calmed the storm. The disciples were amazed at Jesus’ power. When Jesus arrived at the other side of the lake in Gadarenes, two demon-possessed men approached him. They taunted Jesus and asked him to drive the demons into the pigs, which Jesus did. The whole herd of pigs then drowned themselves in the lake. The shepherds ran to tell the town and the whole town demanded Jesus leave, scared of what they just saw. 12a) Jesus understood the disciples genuine fear that they would die and how powerful of an emotion fear is so he calmed the storm not for himself but for them. c) Personal Question. My answer: If the disciples had really, truly understood exactly whom Jesus was they would not have been afraid. Imagine: you are in a boat with God/Jesus. Would He allow anything to happen to you? No. Yet the disciples literally thought they were going to die. That Jesus would not protect them. That they were not safe in his presence. How sad! d) Personal Question. My answer: There have been many, mainly with regards to money. My husband has lost his job multiple times and we have gone through a bankruptcy where we lost our home but never once were we homeless or without food, clothing, or shelter. God provides and He continues to this day. I no longer fear job losses. They make me upset. But my fear is gone for I know He has my back. b) Jesus came to destroy the devil’s power over death and free us from our fear of death. The demon-possessed men were as good as dead, leading a life not worth living, being chained up because they were crazy. One cannot survive with demons inside of them as exhibited by the pigs. The pigs, as lower animals, committed suicide because they could not handle the devil inside of them. Jesus freed the men and gave them a live worth living again as he does for each of us who accept him. c) Personal Question. My answer: It’s interesting to me how Jesus chooses some to be disciples or witnesses and how he chooses others not to be. Jesus healed the man with leprosy in Matthew 8:1-4 and told him not to tell anyone and here in Mark 18-20, Jesus tells the man to go and give testimony on what he has done. I believe he has done this because the former needed to be cleansed to be accepted back into society and the demon man would have been accepted automatically. Furthermore, Jesus came to free us from the power of the devil over our lives. Driving out demons speaks to this point and is a more important testimony to who Jesus is. Jesus healed the physical sick (the leper); but he is more interested in healing the people spiritually (the demon-possessed man). d) They pleaded with him to leave their region. This shows they are scared of Jesus’ power. They are angry at him because 2000 pigs as Mark tells us was worth a lot of money–probably most people’s entire income for the year. They are indifferent to how Jesus saved the two men. They could care less that they were saved. They acted out of fear. e) They don’t like Jesus when he affects their money for the good of others. When people are scared or they don’t understand something, they tend to run away or push back. They close up and refuse to learn what is driving that fear so they ignore the Message. People refuse to believe being saved is so easy so they reject Jesus. Fear and unbelief go together. What people fear, they don’t believe is true. People fear what Jesus can do in their lives so they reject Jesus and choose what Satan is doing in their lives instead. Conclusions: I liked this lesson. Full of action-packed stories and interesting characters. Jesus calming a storm and freaky men running around, crazy, while a pack of pigs run off a cliff. Cool! Note how God always does what is best for us. The man wanted to go with Jesus and Jesus said no. Why? Because this man would now serve God greater as he proclaimed his miracle to others. Also, the man probably still harbored fears of the devil and Jesus wanted him to know he would be okay without Jesus nearby. Maps: This is an awesome site full of maps of where Jesus walked and the distances between places mentioned. You can click on the red dots on the map which lead you to more detailed information with more maps and pictures of the ruins today. You could spend hours on this site! End Notes: Some scholars believe the storm was sent by the devil in an attempt to drown the Son of God and his disciples because of the use of the word “rebuke”. The demon-possessed men were exceedingly unclean since they lived among the dead. The demon’s words to Jesus demonstrate they understood they were going to face torture for eternity and they asked to be left alone to inflict their damage on earth for as long as possible. Pigs are unclean to Jews so these must have been owned by a Gentile. Note how the demons needed permission to enter the pigs. They just couldn’t do it themselves. The pigs hurling themselves over the cliff shows the real reason for existence of demons: to kill. However, the demons may have achieved one end goal: they turned the people away from Jesus through killing the pigs. We must be wary always for the destructive tendencies of the devil. Demons use human bodies as a weapon against God. Demon-possession can be a reality today but note they have to be invited in; demons just can’t take control over you. Note this is the only thing Jesus does in Gadarenes. In Matthew 9, we learn Jesus returns to his own town. Jesus came over just to save this one man. This shows us the depth and importance we all hold in God’s eyes. We matter just like this seemingly insignificant demon-possessed man did to God. We all have hope. This man’s life was admittedly over if Jesus hadn’t have banished the demons. Now, the man can live again. Just like we all can. Mark mentions the Decapolis. Deka is ten in Greek which was adopted into Latin to be dec and polis is Greek for cities so this literally means Ten Cities. These were mainly on the eastern side of the Sea of Galilee, which were mainly Gentile. See link HERE for a great history lesson and map on the ten cities which are the ones in black. Summary of passage: Genealogy of Shem, Ham, and Japheth (Noah’s sons). The sons of Japheth were maritime peoples and spread out with their own language. 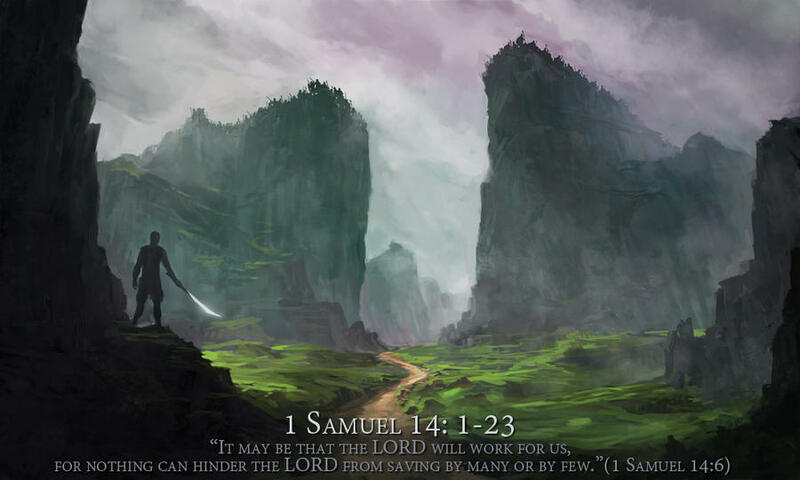 Cush was the son of Ham who was the father of Nimrod who grew to be a mighty warrior and hunter on earth. 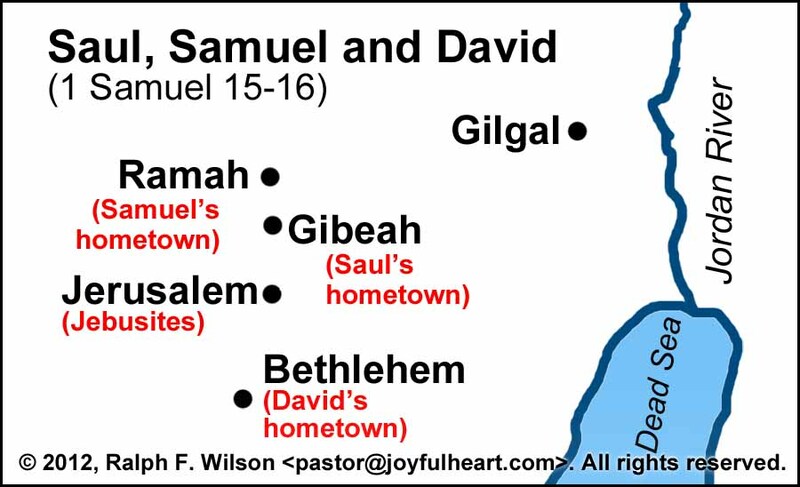 The first centers of his kingdom were Babylon, Erech, Akkad, and Calneh in Shinar. Then Cush went to Assyria to build Ninevah, Rehoboth, Ir, Calah, and Resen. Later, the Canaanites scattered, pushing out the borders from Sidon to Gaza and Lasha. Shem’s ancestors lived in the eastern hill country from Mesha to Sephar. 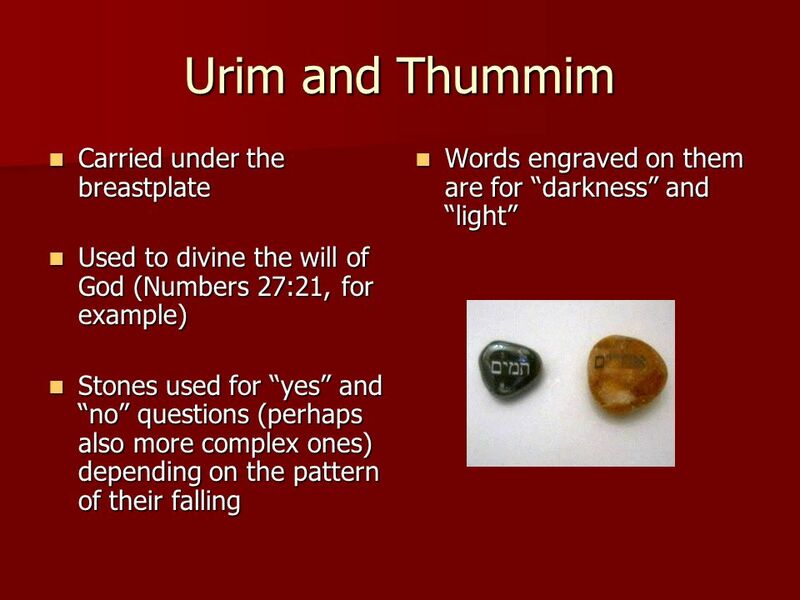 10a) Cush was Nimrod’s father and Nimrod’s grandfather was Ham. He was a mighty warrior and hunter on earth. He ruled a kingdom that included Babylon, Erech, Akkad and Calneh. He then conquered Assyria and established more cities. Fun fact: Nimrod’s name means “let us rebel”. b) Bad. “The mighty hunter before the Lord” is not a hunter of animals but of humans. This is not a compliment. This is also the first use of the word “kingdom” in the bible, which implies he consolidated the peoples and probably in a ruthless manner. Ultimately, he relied on his own strength instead of God’s. 12) Uz and Jobab. Job came from the region of Uz and Jobab may be the one we know as Job. 13) Like most lists of names and genealogies in the Bible, it is used to chronicle the line of Jesus and collaborate God’s words to man (who always seems to need evidence). Also, it explains how the world was re-populated after the flood and who and how founded the nations of the earth. Conclusions: Keep in mind the distribution of peoples: Japheth was the father of the western Europeans, the Medes, and the Greeks. Ham was the father of Africans (Egypt and Ethiopia) and the far East (including Babylon and Canaan). Shem was the father of the Persians, the Assyrians, the Hebrews (Abram), and Asia Minor.